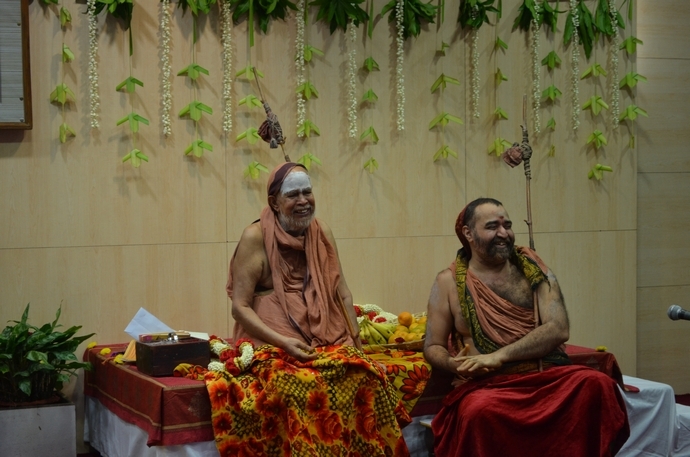 Pujya Shri Jayendra Saraswathi Shankaracharya Swamigal & Pujya Shri Shankara Vijayendra Saraswathi Shankaracharya Swamigal visited Shankara Nethralaya on 18th April. Their Holiness were received with Purnakumbham by Chairman Emeritus Padma Shri SS Badrinath. 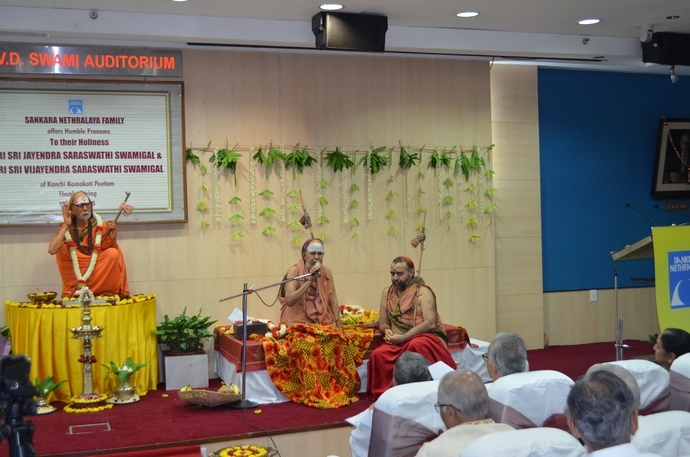 After Svasti Vachanam, prayer was rendered by Bombay Sisters. Shri Badrinath then presented his reverential pranaams in his speech. 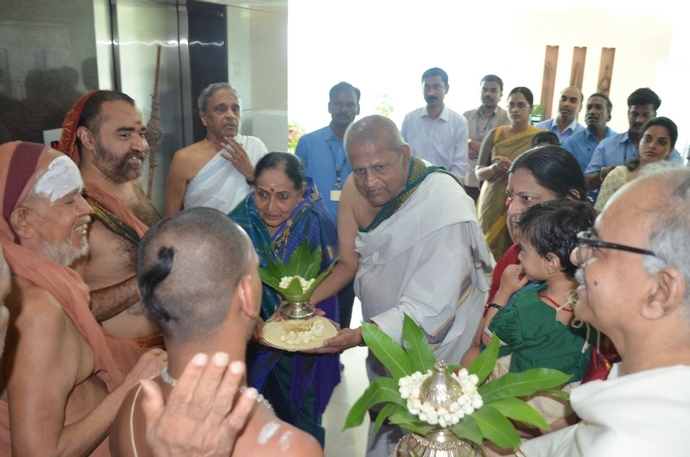 He recalled fond memories of being blessed by Pujya Shri Jayendra Saraswathi Swamigal to start the Nethralaya 37 years ago and requested His Holiness to bless the institution for further development. 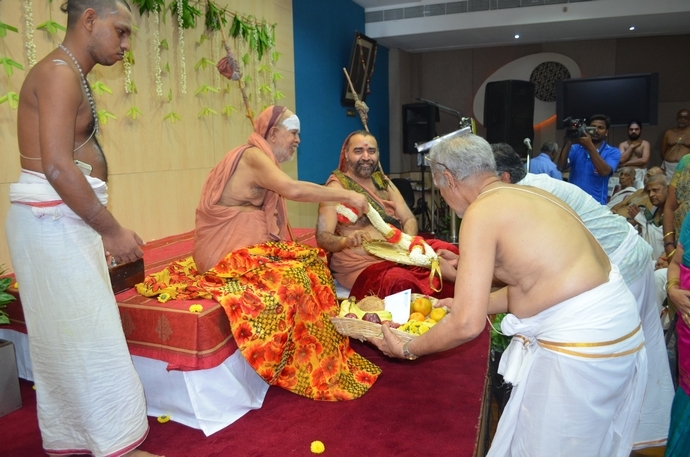 Dr. Bhaskar, Chairman of Neralaya submitted flower garlands to their Holiness.The Netralaya team received the Blessings of their Holiness. 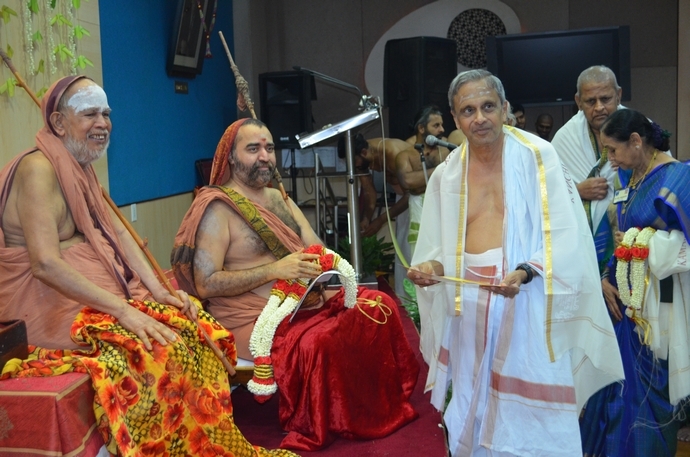 His Holiness Pujya Shri Jayendra Saraswathi Swamigal in His Anugraha Bhashanam told that many institutions (educational & medical) were started in the name of "Shankara" keeping in mind the great contribution and service of the great Acharya. His Holiness said that Dharma protects one who protects it and that one should increase quality of life by Seva Dharma. His Holiness said that one can be engaged in Dharma Seva also by meeting the education and medical requirements of the people. 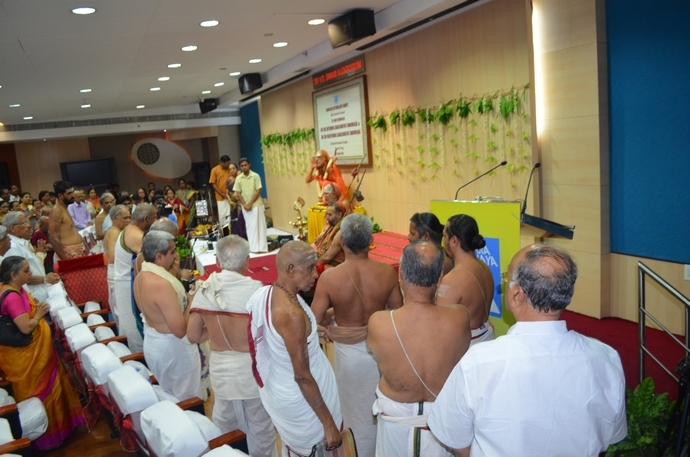 Quoting a Sanskrit shloka "Sarvendriyanaam Nayanam Pradhanam" His Holiness said that since eye is the most important organ of the human body, many Nethralayas were started. Currently eye hospitals in the name of Shankara are functioning in Chennai, Coimbatore, Guntur, Kolkatta, Guwahathi, Kanpur, Ludhiana, Anand, Bangalore etc. His Holiness blessed the gathering. 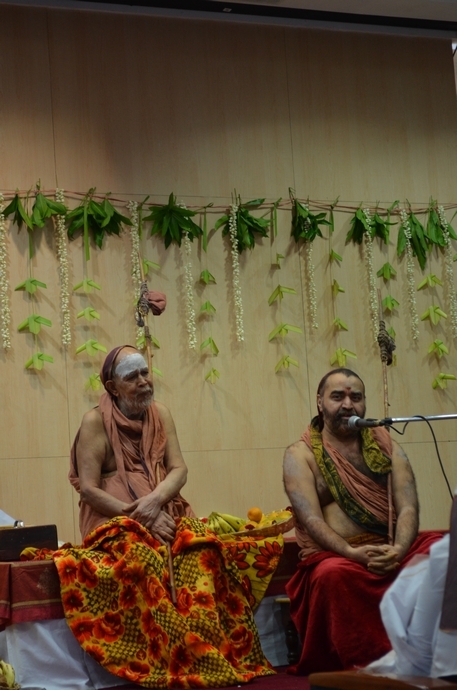 Pujya Shri Shankara Vijayendra Saraswathi Swamigal told the importance of sharp vision by telling the Ramayana story of "Sampati"(Jatayu's brother). His Holiness said that though Sampati a bird, was not in a state to even move, with his sharp vision, showed the Vanaras Lanka where Ravana had kept Sita in captivity. His Holiness said that just as Sampati took part in Rama Karya , good things could achieved by good vision. 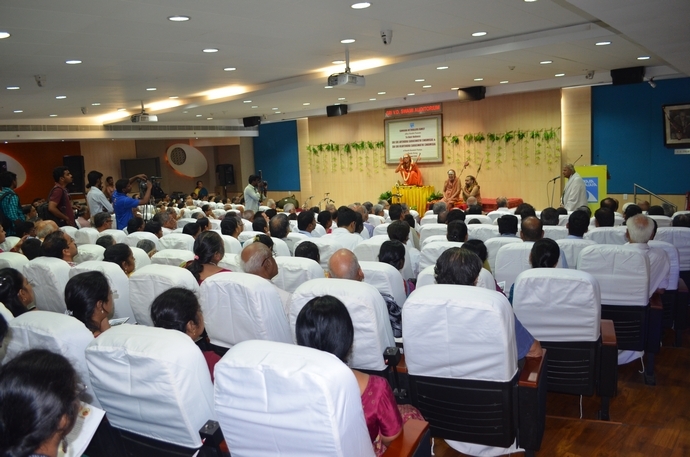 Stressing the point made by His Holiness Pujya Shri Periyava His Holiness said that quality of life meant, quality in thinking and serving the needs of the people not just increase in salary & other facilities etc. 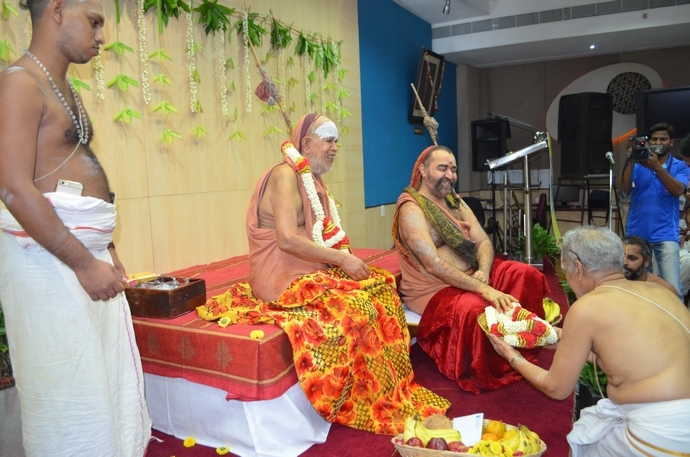 His Holiness said that Shankaracharya in his Prashnottara Ratna Malika has said that man has to put effort in Vidyabhyasa-education, Sadoushadha- good medicine & Daana- charity and said that Shankara Nethralaya was doing all the three by providing medical education & research, serving the needs of all kinds of people who come for treatment without compromising in quality of medical care and performance of free operations for the needy thereby achieving all the three targets. His Holiness said that by development of India in spirituality, education and medicine the world would also benefit. His Holiness said that to achieve this both prayer "Prarthana" and effort "Prayatna" is required and concluded his Anugraha Bhashanam.